How much does the trustee get paid in California trust administration? One of the major reasons for thorough estate planning is to avoid the significant financial impact probate can have on what is available for beneficiaries at the end of the process. If an estate is being administered through a well-prepared trust and will not need to go through California probate, then fees paid to the administrator and any necessary attorneys are usually a fraction of what they can be for the probate of an estate that is the same size. California trust administration fees are a quarter to a third of the cost of a similarly sized probate estate. Trustees are usually paid on an hourly basis, but they sometimes will receive a percentage of the estate. Almost universally, trustees will receive less compensation than an executor dealing with probate. If you are the trustee for an estate, arrange your payment with the person organizing the trust. Be sure to include this as part of the preparation process. During the actual administration, as a trustee, you will want to keep a fully documented log of your work, including performed tasks and timeframes, so you are fully reimbursed for your services. Are you the California trustee of an estate who has run into difficult circumstances? 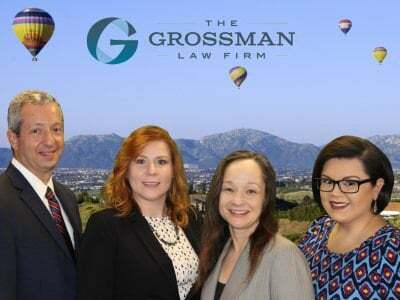 Well, the San Diego probate lawyers at The Grossman Law Firm may be able to help. We offer will contests, California trust administration, and trust litigation services to clients in Riverside County and outlying areas. For a free, 30-minute consultation with one of our attorneys, call toll-free 888-443-6590, or use our quick online contact form. 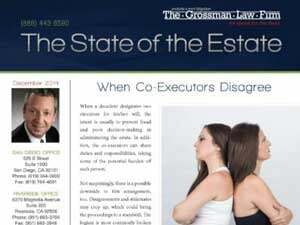 Finally, be sure to order a copy of Scott Grossman’s must-read guide for trustees and executors. 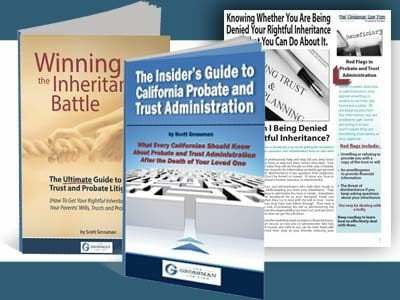 Click here to download The Insider’s Guide to California Probate and Trust Administration, which is available to you FREE.